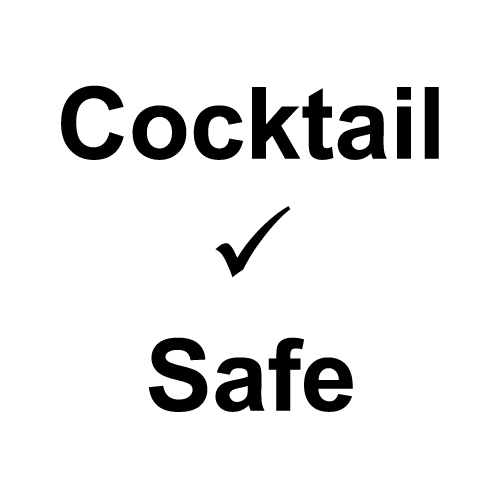 This website is dedicated to safer cocktails specifically, but many general food handling principles apply to work preparing, storing, and serving cocktail ingredients. For proper certification and more detailed information, please see the "Further Reading" links. Though listing every safety code is beyond the scope of CocktailSafe.org, some hopefully-relevant food handling/safety tips are below. Refrigerators should be set to 40F or colder; freezers at 0F or colder. Note that even freezing doesn’t kill bacteria; only slows/stops reproduction. Heating to an appropriate temperature does. The bacteria “danger zone” where they reproduce the fastest is between 40F and 140F, so it’s important to keep anything that can spoil outside this zone most of the time. Don’t wash produce before storing, as this encourages spoilage; wash just before using.